Hi! I'm from Russia. I'm 21. Here on one of TV channels there was Joe's concert on New Year's Eve. It was so amazing!!! Joe's a unique singer & musician!!! I got to say, it is a nice site and it’s easy to navigate in. jaime le gout sur tes leveres. Long live Joe. I came across Joe by accident. I'm a big Mireille Mathieu fan with over 130 of her videos (TV shows, segment etc). A fan from France gave me a copy of the 1975 Numero 1 prorgam. Not knowing Joe is an American, his salute to the era of the big band music caught my attention. Are there any other videos available? I digitally enhance Mimi's programs and I'm doing the same to the program I have. Joe looks like a cross of Jerry Lee Lewis and Elvis in the Big Band Salute. I had to find this site! Trying to stay true to my roots "du nord", I listen to a french language program on Sundays. Someone asked to hear "Happy Birthday" by Joe Dassin. Of course I cried, and vowed to learn more of this Joe Dassin. I remember "Soiree Canadien", and Levi Boulonge, Marcel Martel, et al. I remember listening to Joe when I was a little girl. My grandmother would put on Joe's records and her and I would sing along while we cleaned the house and we'd sometimes even dance to Joe's angelic voice. I grew up, married a man who only speaks English and our children only speak English. My whole world was English. In May of this year I went to see a concert with my mom, (in French) of Joe's songs; this young man was singing a tribute to Joe. This brought back a flood of memories for me. I fell in love with Joe all over again. Now, all my children hear in the house whenever I play music is Joe. His beautiful voice, music, and I couldn't even tell you how many times I've been to this site. You guys have done marvelous work! My hat off to you. Joe would be proud. G'nite Joe, God bless you my friend. His songs make me cry, laugh, wonder about life and much more......it reminds me childhood and good time with my parents.This music is incredible. With his songs everything is possible to achieve and succeed in many things,have a hope and never give up. I think he was a man, who knew how to live and appreciate the life. A man with the pure soul. 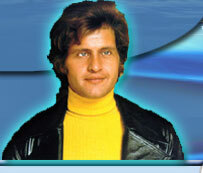 I discovered Joe Dassin by accident through the Internet, how I wish he was still with us. Thanks for all the terrific information on the site, it is a pleasure to read. In my opinion Joe Dassin is not a "traditional singer" like many others. He was a wonderful man with magical voice. I still remember The Indian Summer, one of the best songs wich I have ever heard. It makes me really emotional. Joe Dassin has a short, but happy life. Now he is singing with angels. I hope that. It was autumn 1971 I had come to Switzerland to work as an au pair. I'll never forget that saturday afternoon watching tv when I first saw and heard Joe. In a strange way he remineded me a little bit of Elvis. I went to the record shop on monday and bought my first record with him "le chemin de papa". After that I bought many more. He is a great artist and will live for ever more. I remember back in the early 70's when my Uncle Denis used to pick me up to take me to Grandma and Grandpa's, listening to Joe's "EIGHT track"!! in my Uncles car. I was 10 or 11 then and now at 44, I listen to Joe with my G/F Lizzie. I hope Joe is still playimg in Heaven and someday I will meet you!